Twist lock, fully-adjustable RAM suction mount for GEAR AID lights. 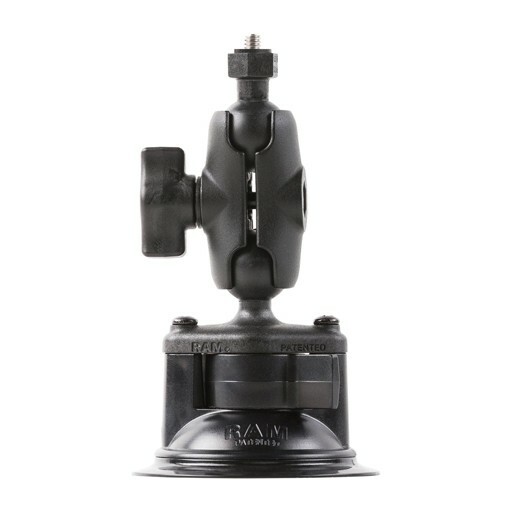 Use the Suction Light Mount by RAM to easily mount your GEAR AID LED Light on cars, trucks, boats, RVs, tool chests and more. In addition to a firm hold, the mount also features easy-to-use ball and socket technology that enables quick adjustments and infinite angles at the turn of a knob. Compatible with GEAR AID LED lights and most digital cameras and camcorders, this mount is ideal for use when car camping, working on your car's engine, or when the power goes out. It's made from high-strength composite, and powder coated marine-grade aluminum. The suction cup’s twist-lock technology provides a maximum-strength hold on smooth, non-porous surfaces like glass and smooth plastics.